CoLab Radio » Blog Archive » "This is what inspires me." I took this photo from a place called Flag Rock near Norton, Virginia. Photo and post by Rustina Mullins. Rustina is not originally from the mountains, but their beauty inspires her. She has lived in the Appalachian Mountains for thirteen years and still finds more things worth seeing. With photography, she aims to find a scene that is peaceful and relaxing and wants to share with more people the sites that have captured her heart and show viewers that there is more to the world around them. Rustina is the wife of the thoughtful coal miner. 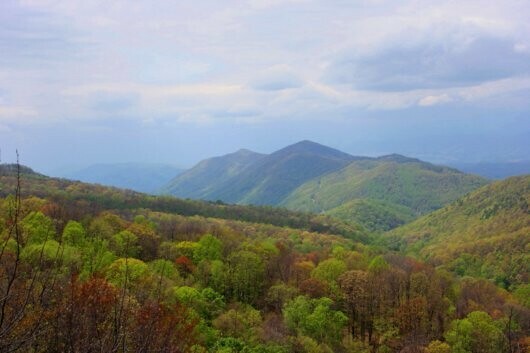 This is the second post of her photographic tour through Appalachia.